Quarter Day reform could help the struggling retail sector, according to the chair of insolvency trade body R3 in the North East. Steps to smooth cashflow pressure on retailers, such as replacing the long-standing Quarter Day rental arrangements for commercial premises with a monthly option, could give struggling high street retailers more breathing space in their battle against online rivals. That’s the view of Steve Ross, chair of insolvency trade body R3 in the north east, who was speaking as the June Quarter Day brought news of further business failures on the high street. The suggestion comes on the back of new figures from the Office for National Statistics which showed a 10.3% year on year rise for May 2013 in the value of online sales in Britain, while the total value of retail sales rose by only 3.1% over the same period, highlighting the growing threat of the internet to “shop window” retailers. 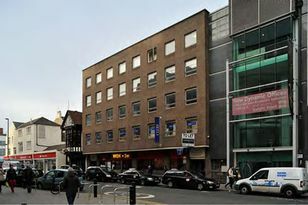 The quarterly rent payments which traditionally fall in March, June, September and December represent a major outgoing for struggling firms, and well-known high street names have fallen into administration in either the run-up to or days immediately following Quarter Days over the last few years, as the pressure to meet their rental obligations has finally proved too much for their finances. Steve Ross, partner in the Restructuring department of the Sunderland office of accountancy firm RSM Tenon, said: “These are the first real growth signs we have seen across the retail sector for a long time, but for those businesses relying on a physical high street presence, the Quarter Day deadline could prove one burden too many when it comes to remaining competitive with e-commerce. Ross is advising any retailers struggling to meet their Quarter Day obligations to begin negotiating with their landlords as quickly as possible, so that solutions can be found to stave off any potential insolvency.